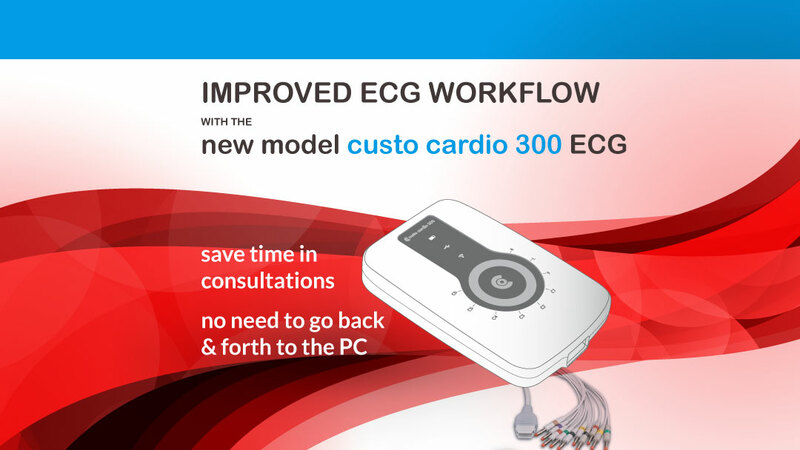 The new model custo cardio 300 ECG dramatically improves workflow when taking an ECG reading by simply having both the quality of the patient connection and the stop/start button directly on the device. No more walking back and forth from the PC to the patient – a simple but crucial upgrade to the design. For more details please contact your customer account manager on freephone 1800 619 619 today. Promed is the sole authorised agent for supply and service of custo-med products to primary care in Ireland.